Part 1 in Tianna trying to catch up on blogs features: The Barnacle Goose! Back in March I was heading to Newmarket for a doctors appointment. 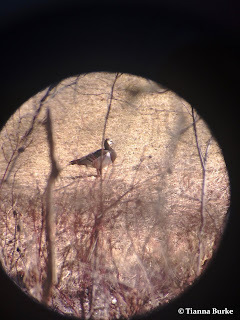 I had heard through some friends, facebook birding groups, etc about a Barnacle Goose that had been spotted only a short distance from there. So, I decided to head down early and check it out! 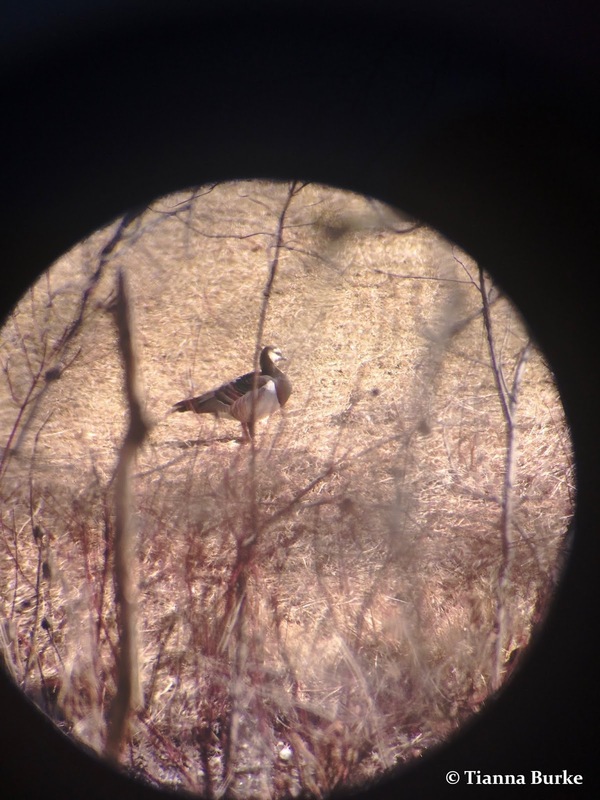 This Barnacle Goose was a vagrant, meaning that it has strayed from its usual migratory route or range. Often times this will happen when there are severe weather events. The Barnacle Goose traditionally is found nesting along the Arctic coasts from northeastern Greenland to Siberia. Sometimes, vagrants from the Greenland population can be found in North America. 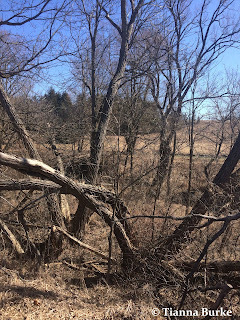 The first stop was at the local Schomberg sewage lagoons. 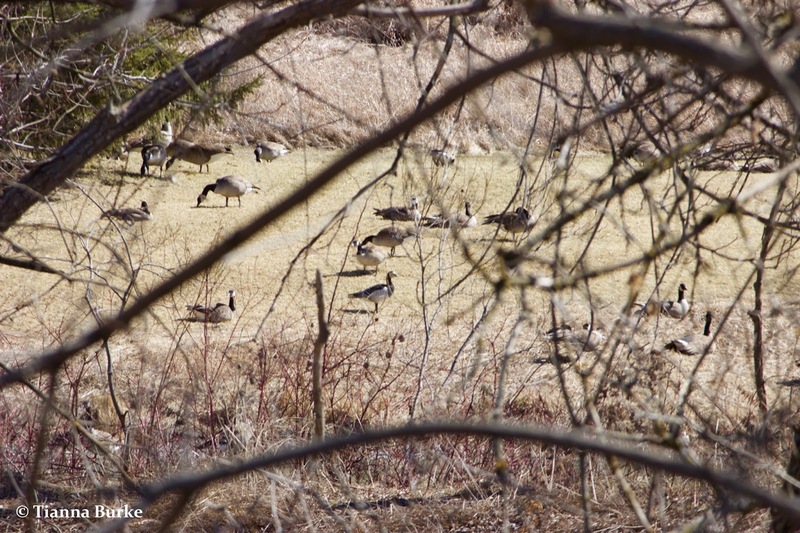 Here there was mostly geese and waterfowl, no sign of the famous goose! Just as I was leaving another car pulled in, and it happened to be two old coworkers of mine (Hi Ross and Christian!) 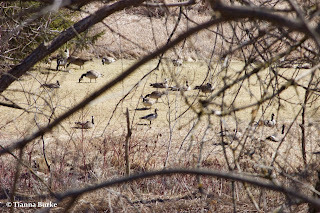 who had just seen the goose in a neighbourhood a few concessions over. So off I went on another search. Two cars parked on the side of the road, signalled to me where to stop! Then the search began to figure out where the goose was located. I was given the tip that it was through some trees, but I was surprised to see that THIS (photo below) was going to actually be the view! 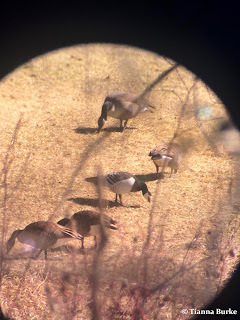 After a little bit of searching through my scope, I was able to spot it through all the branches with a flock of Canada Geese. While I wasn't able to get the BEST look at it, it was such a stunning bird to see and well worth the trip! Hope that everyone has had a fantastic 2018 so far! !